• Color White standard, also available in Blue at same price. • No Quantity Limit. Order as many as you’d like at $4.35 each for larger size. • No Quantity Limit. Order as many as you’d like at $4.10 each for smaller size. 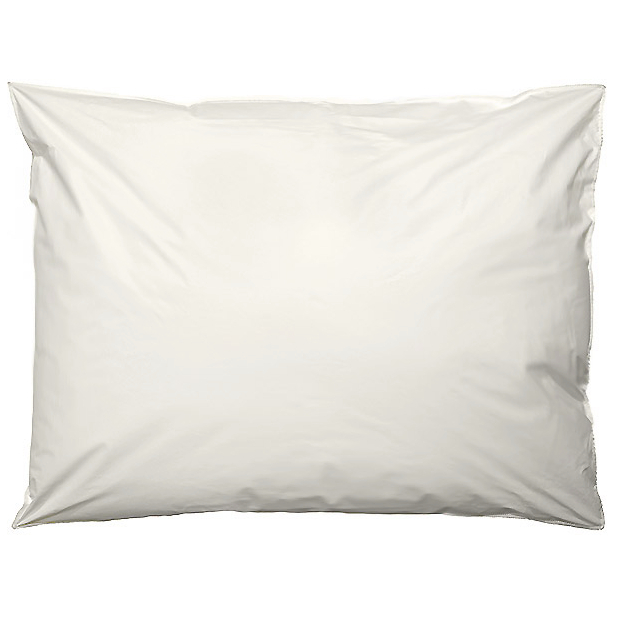 • Save up to 80% of cost of ordinary disposable pillows. • No laundering or pillow protectors needed. • Anti-microbial and flame/stain/tear resistant. • Wipe clean, fluid resistant. • Hypoallergenic manufactured with prime polyester filling. • Packed 16 per carton (no broken cartons) for CV27/SDGK20. • Packed 20 per carton (no broken cartons) for CV18/SDGK18.